Banned from making films, Hasan is doubly frustrated that his muse, the actress Shiva, is working with other directors. His home life is faring no better. There are disagreements with his wife, and his aged mother is getting more and more detached from reality. But most galling of all, a serial killer is going about beheading Iran’s finest filmmakers, yet Hasan remains unscathed. Why, when he is one of the greatest, is he being completely ignored? There is much to enjoy in this social satire. The hilarity and hijinks that follow are quite unlike anything in Iranian cinema. Mani Haghighi, born in 1969 in Tehran, comes from an artistic family. 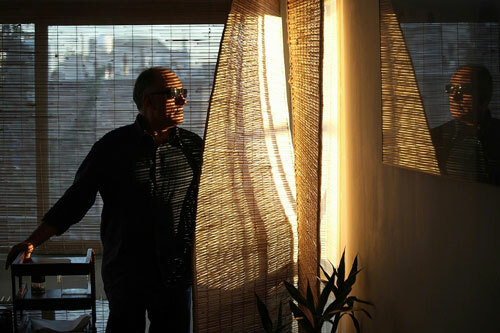 His grandfather, Ebrahim Golsetan is an author and one of the pioneers of Iranian New Wave cinema. His mother is a known translator/writer and his father was one of finest cinematographers of Iran. His second feature film, Men at Work, is considered a notable contribution to Iranian cinema as well as world cinema. Comedy in its absurd form is the essence of most of Haghighi’s films. He is most known for Men at Work (2006), Modest Reception (2012), and A Dragon Arrives (2008). PIG is one of the few examples of comedies in Iranian cinema that has been received well at the international stage. Share This Film, Choose Your Platform!